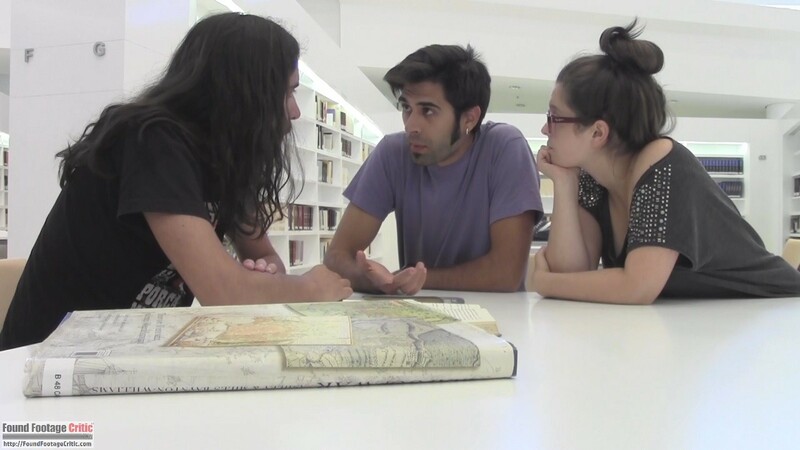 “The Last Witch” is a found footage film from Spain that is written and directed by Carlos Almón Muñoz. The film follows three friends shooting a documentary about a woman convicted of witchcraft during the Terrassa witch trials that took place in the year 1619, exactly 400 years ago. Director Carlos Almón Muñoz based The Last Witch on actual local Spanish history. In the early 1600s, the small town of Terressa, Spain, was the victim of a poor economy and inclement weather spanning several years. The townsfolk blamed witches as the cause for the town’s bad luck. To avoid widespread panic, the local authorities formed a witch commission. In 1619, six women were arrested and confessed to being witches. Five women were hanged. The sixth escaped and was never found. These historical facts set the stage for The Last Witch. The film opens with three friends, Sandra, Eduardo, and Mario, who decide to shoot a documentary about the Terressa witch trials. The focus of their investigation is on the many legends surrounding what happened to the sixth convicted woman. As luck would have it, Sandra’s grandfather is a direct descendant of the member of the witch commission who was responsible for positively identifying the six women as witches. Sandra visits her grandfather to learn more about what actually happened on that infamous day in 1619. What she discovers will lead the group down a dark and dangerous path as they search for the last witch. While The Last Witch is based on actual historical events that took place hundreds of years ago in Spain, the film is also heavily influenced by director Carlos Almón Muñoz’s earlier theatrical work. 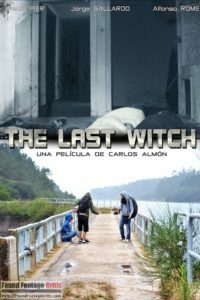 The Last Witch is the first feature film by director Carlos Almón Muñoz. His previous credits include a series of short films, the most noteworthy of which is Dark Lifes (2014). 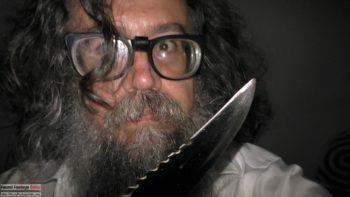 In an interview with Found Footage Critic, director Carlos Almón Muñoz said that many plot elements and jump scares in The Last Witch were inspired by Dark Lifes (2014). From watching both projects, it appears that antagonist design and even the camping tent used in The Last Witch was borrowed from Dark Lifes (2014). The found footage cinematography used in The Last Witch is quite good. The film is shot primarily with a single handheld video camera that is passed between characters while walking. 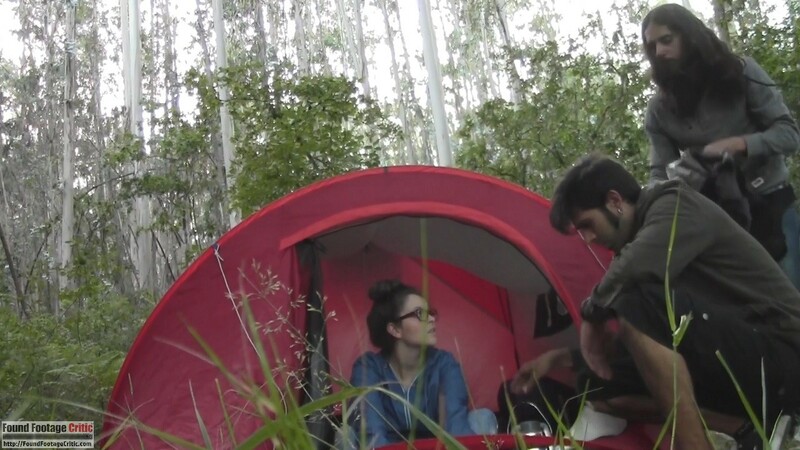 When the characters are in a fixed location for any period of time, such as a car or tent, director Carlos Almón Muñoz often places the camera on the ground. This approach adds more visually stable scenes to The Last Witch, but more importantly, enables all three main characters to be in-frame at the same time. 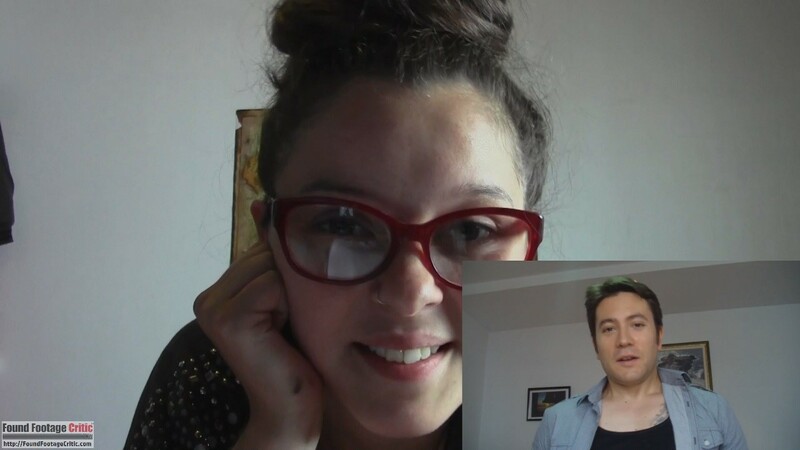 The Last Witch also includes recorded webcam footage in the form of a video chat session and surveillance footage (dated 1969) that was shot with a film camera. The cinematography comes across as fairly realistic. In one particular scene, a character throws the handheld video camera on the car seat and drives off, leaving viewers to rely on audio cues to comprehend what is happening since the video camera lens is pointing at the car seat. Scenes such as this one lend credibility to the found footage conceit of the film. The filming reasons used in a found footage movie can either make or break the suspension of disbelief. In the case of The Last Witch, the filming reasons are strong throughout most of the movie but are faced with challenges in the final act. During the first two-thirds of The Last Witch, the characters constantly film one another, even when the footage doesn’t further the documentary they are shooting. This ancillary footage furthers character development and fits well within the context that the three main protagonists are close friends—the additional footage doesn’t come across as staged or contrived. The filming reason comes into question in the final act, when the protagonists find themselves in grave danger. 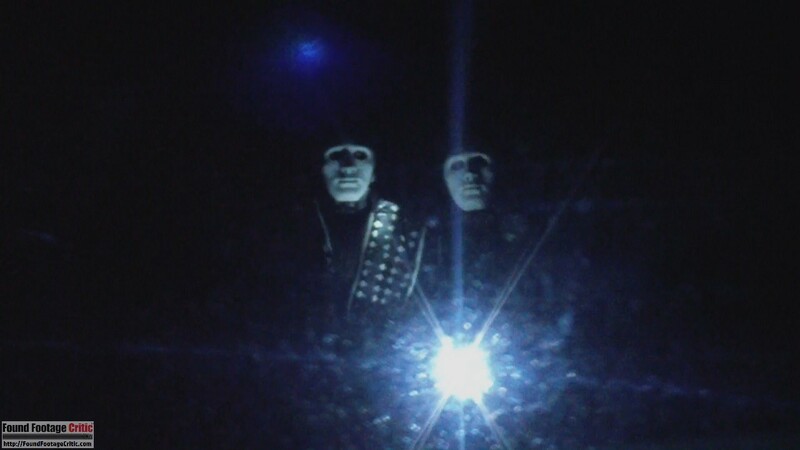 Despite their predicament, these characters continue filming, holding the camera in a composed fashion as though nothing were wrong. Perhaps the characters’ brazen filming would feel more organic had these three documentarians had been veteran journalists, but this is far from the case. In The Last Witch, the three main protagonists are teenagers, and from all appearances, they are looking to shoot their first “real” story. Despite these shortfalls, the filming justification does stand strong for most of the film, which is a testament to director Carlos Almón Muñoz. 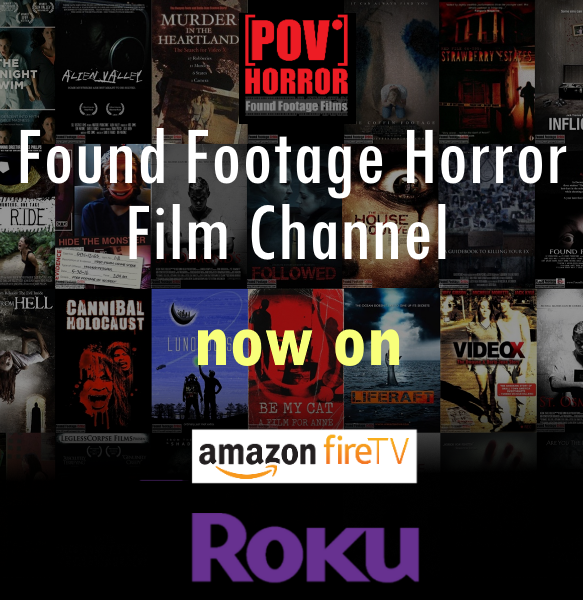 The found footage purity is a measure of how well a film comes across as actual found footage, taking into account the cinematography, audio, visual effects, and acting. In The Last Witch, the found footage conceit the film strives for is generally good but has some significant challenges. To the credit of director Carlos Almón Muñoz, the cinematography (mentioned earlier) is strong for most of the film’s runtime. Feeding into the cinematography is the audio, which comes across as organic for the environments in which The Last Witch was shot. 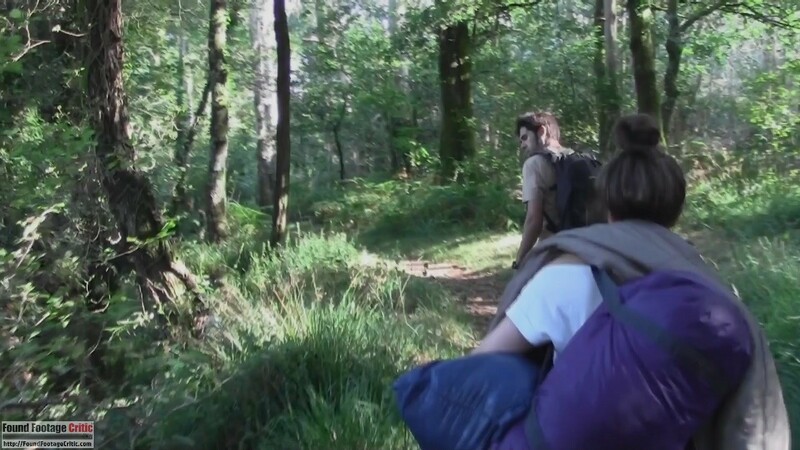 Carlos Almón Muñoz elects to use the video camera’s onboard microphones which enables the characters’ voices to grow and fade as they move towards and away from the video camera, particularly during outdoor scenes in the woods. Small nuances like this one that can easily bolster a found footage film’s perceived credibility. To the detriment of The Last Witch, many of the post-production VFX look and sound like “effects” rather than artifacts that are organic to the film. Some of these questionable elements include periodic visual and audio distortions that could have been toned down and made to look and sound more realistic. Additionally, The Last Witch contains an aged film clip that was supposed to have been shot in 1969. While the cinematography for this aged film clip is exceptional and creepy, the post-production filter used to create the aged film effect looks more like present-day CGI overlayed on digital video rather than actual film. When taken as a whole, these post-production effects and others we haven’t mentioned add-up over time and impact that perceived reality of the film. Oddly enough though, when taken as a whole, the VFX come together and give The Last Witch a unique signature look that’s consistent throughout the film. The visual and audio effects and transitions create a mildly-campy vibe that somehow works in The Last Witch’s favor, although detracting from the intended reality of the film. The Last Witch has an exceptional ensemble cast. Although third-billed in the film, Alfonso Romeo as Mario offers the standout performance in The Last Witch. 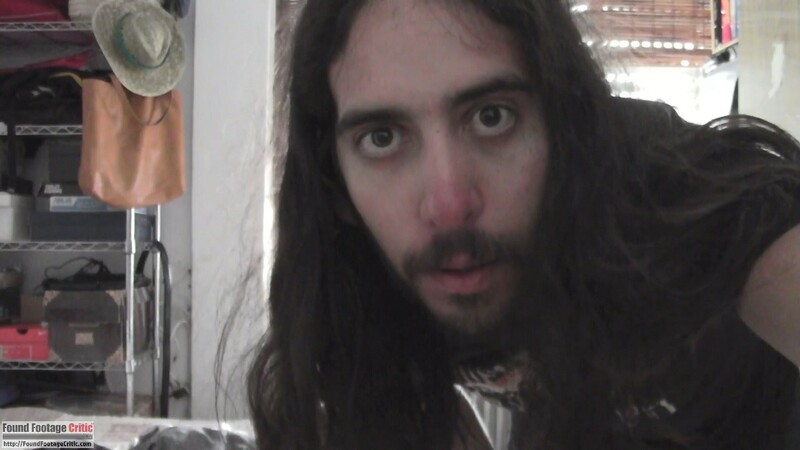 While Alfonso Romeo has far less screen time than his co-actors, since he is holding the video camera for most of the film, he is the voice of the film, cueing much of the dialog from the other characters. The subtlety and pacing of his performance effectively sets the cadence of his co-actors. Paula Pier performs wonderfully as Sandra Font, the female member of the group. Her performance brings much-needed levity to the otherwise dark path the main protagonists are following, and her dramatic acting is impeccable as the film reaches its climax. Gorge Gallardo performs well as Eduardo, the third member of the group. His character is the anchor of the group, encouraging everyone to work together to film the documentary. Gorge Gallardo turns out a good performance throughout the film, although there is a key scene in the final act that is somewhat overacted. Rounding out the cast is veteran actor Pepe Penabade with his strong and poignant performance as the forest ranger, and Clara Gayo as the infamous Joana Toy. The Last Witch is a fictional film that has its roots loosely based on historical events in Terrassa, Spain. Similar to the curse that besieged the small town of Terrassa in the early 1600s, The Last Witch production was plagued with a real-life curse of its own that delayed the production for over a year and caused dissension among the cast and crew. Without getting into the grisly details, Director Carlos Almón Muñoz said that broken promises from key individuals involved with the production and other unfortunate events resulted in none of the principal cast or crew getting paid for their hard work on the film. Carlos Almón Muñoz is hopeful that the recent United States release of the film on Amazon Video and POV Horror will turn a profit so he can compensate everyone for their tireless effort. Carlos Almón Muñoz went on to say that because of everything that went wrong with the production of The Last Witch, his vision for the film was never fully realized. In an effort to elevate the final cut of The Last Witch to his exacting standards and make due on his promises to the cast and crew, director Carlos Almón Muñoz filmed over thirty minutes of additional footage that he included in the United States release of the film. This new footage replaces scenes that didn’t quite work in the original cut and includes new scary scenes. Found footage films that are based on actual historical events, specifically those rooted in folklore and the supernatural, have the potential to create heightened fear and terror. Well made found footage films attempt to lull viewers into accepting the film as reality, even if just for a moment, to invoke these emotions. Plots based on real events, such as the Terrassa witch trials are the perfect vehicles to carry a found footage film. The Last Witch does a good job playing up and building upon the lore and distanced history of the 1619 witch hunt. The film is likely to invoke questions, such as, “are witches real?” Although The Last Witch is clearly fictional, were the six women hanged in 1619 actual witches or were they scapegoats persecuted for natural events that people of that time did not understand? The Last Witch attempts to provide at least one person’s explanation of the events that took place during the 1619 Terassa witch trials. Despite The Last Witch’s troubled production, we commend Carlos Almón Muñoz for the final version of the film. 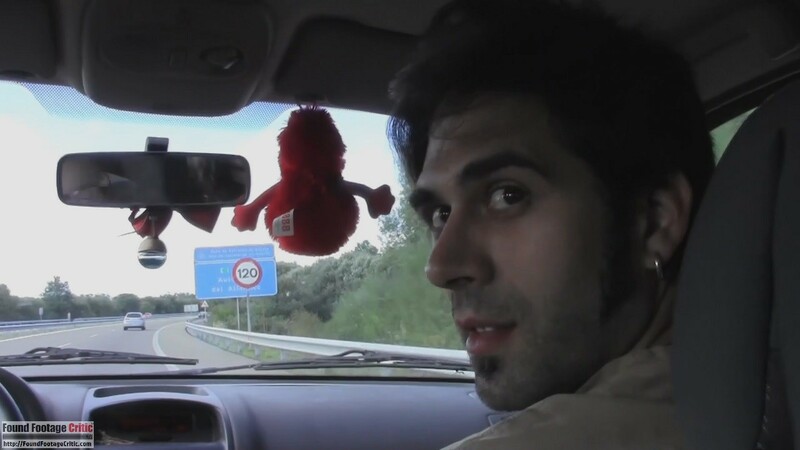 The country of Spain is a historically large contributor to the found footage genre, generating classic films that include the [REC] series, Atrocious (2010), and Apartment 143 (2011) to name a few. The Last Witch is a welcome addition to the rich catalog of found footage films from Spain and we eagerly await for the (hopefully) next found footage film from the creative mind of director Carlos Almón Muñoz. THE LAST WITCH is a found footage film from Spain that is based on actual historical events that took place in the early 1600s. 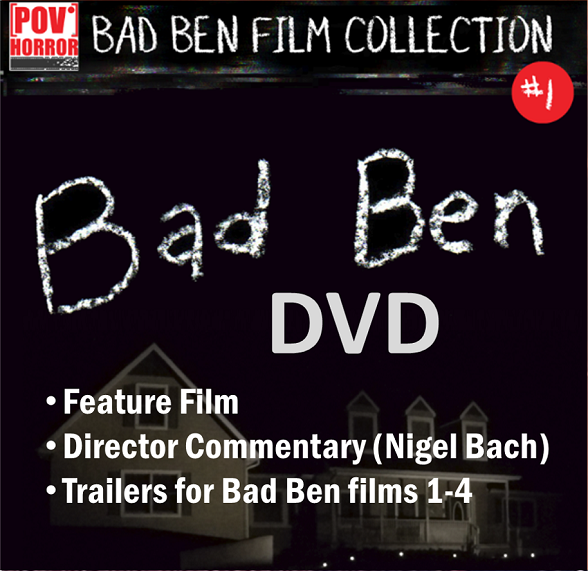 The interesting story and good acting make this a found footage film worth watching.